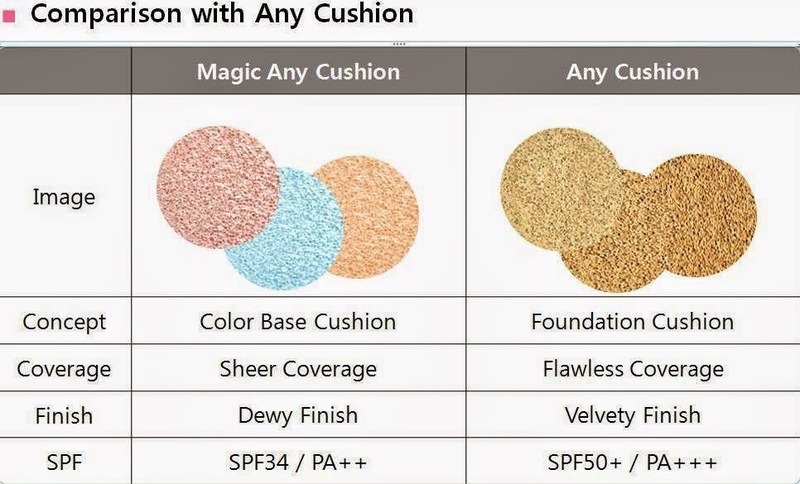 This is what some of you has been asking me, recently Etude House launched their latest Precious Mineral Magic Any Cushion. Etude introduces new mega trend of “Cushion Make-Up” it’s a magically tone up your skin just pat pat and it’s done. This is the revolutionary new base cushion for your K-Beauty makeup. Is anyone into Korean makeup style and trend? 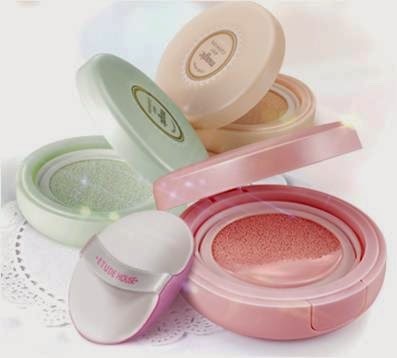 What is so special about the Etude House Precious Mineral Magic Any Cushion? Comparison with Any Cushion? It is a customized cushion base for your skin tone that comes in 3 lovely colours to match any skin tone. It naturally toned up our skin and has whitening effect from Mother of Pearl Extract and Arbutin. Lastly, the Precious Mineral Magic Any Cushion has 6 in 1 multi-function formula in macaroon pact (skin brightening, tone correction, sunscreen, cooling moisture, whitening and wrinkle care). The revolutionary color cushion created by Etude House, the heroin of BB cream. As mentioned earlier there are 3 lovely colours flawless and moist look. Each colour has different function. The Magic Any Cushion is now available since April 2014 and retail at RM119.90 for 15g. The colour that is suitable for my skin in the Magic Peach, I need to even up my dull skin tone at the same time have a flawless bright skin. Usage: Use the Pink Puff to pat. Gently press the air cushion puff into the sponge to pick up sufficient Magic base. Spread from the outer to the center of your face along the skin texture, in the order of ‘cheeks – forehead – chin’. For Highlight, add one more patting on your forehead and cheeks. For touch-ups in the afternoon, apply in a gentle pressing and tapping manner. For natural skin just ‘Pat Pat’ with the pink air puff. Korean Magic Any Cushion and Any Cushion Tips in 3 simple steps to achieve flawless toned up skin. Girl Next Door Look - using CC Cream for natural and even tone skin. Photo App Touched - using Magic Any Cushion for toned up, flawless and perfect looking skin. Anytime Confident - using Any Cushion for easy and flawless foundation anytime and anywhere. 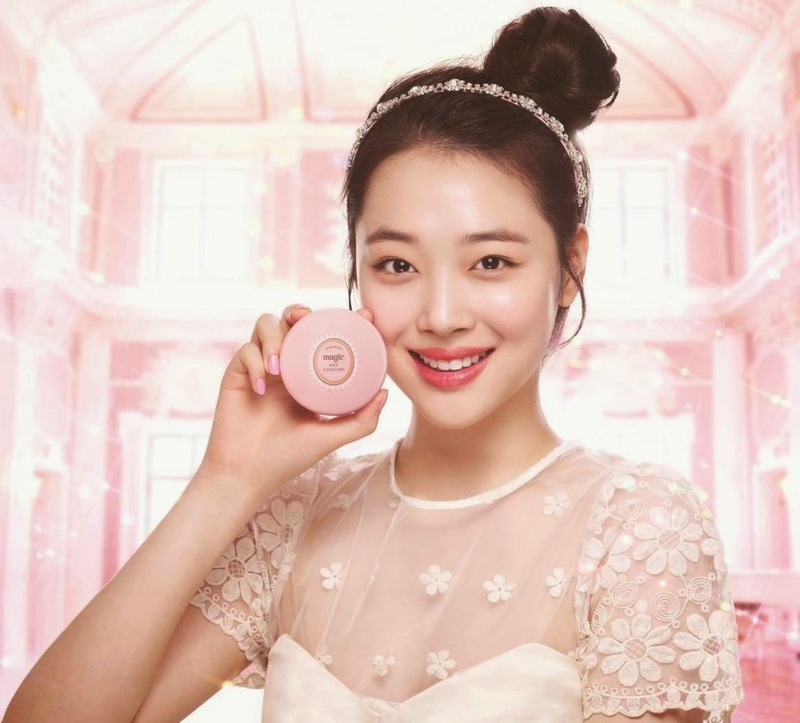 To celebrate global launching on May 1st, Etude House will have combined global campaign with 100 customers in 13 countries as ‘Magic Testers’ in a viral movie and launching of global beauty book. Also as offline event there will be ‘Beauty Global Makeup Festival’ with famous Asian makeup artists to spotlight the K-beauty cushion trend of Korea.